No club in Scotland has a more taxing end to the season than Hearts. Assuming all concerned preserve their top-six status, the Edinburgh club’s final eight league games will be against Aberdeen (twice), Rangers (twice), Hibs (twice), plus Celtic and Kilmarnock. That’s before you factor in a Scottish Cup semi-final against Inverness Caledonian Thistle and the possibility of a final thereafter. The international break ends with Aberdeen’s visit to Tynecastle Park this weekend to begin a run of fixtures which will ultimately define Hearts’ season. 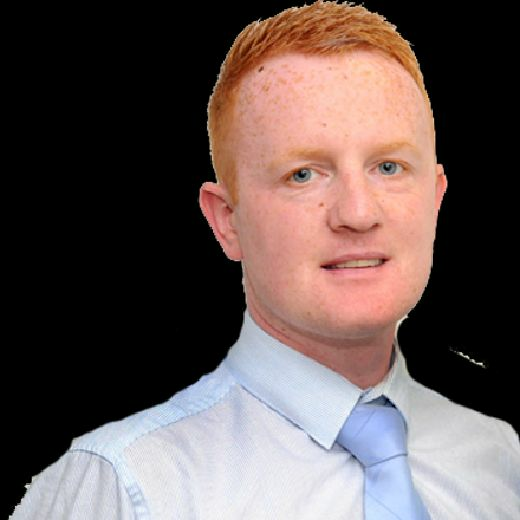 There have been high points and low points, exhilaration and exasperation since the first competitive ball was kicked away at Cove Rangers back in July. It all comes down to what occurs over the next eight weeks. In that sense, Hearts’ prospective run-in could not be tougher. Every one of their opponents are jostling in the top half of the table and competing with them for a top-four finish. Should Celtic win both the Ladbrokes Premiership and Scottish Cup, fourth place would then permit entry to the Europa League qualifying rounds this summer. Europe was, of course, the pre-season target set by everyone in Gorgie. Winning the Scottish Cup always guarantees a European place regardless of league position and that may transpire as the easier route for Hearts to take. However, that competition remains firmly on the backburner for now as league business resumes this weekend. The troubles and difficulties Hearts have endured this season mean they will take nothing for granted in any tournament. Their points total after 30 league matches reads 47 in comparison to 39 after the same number of games last season. 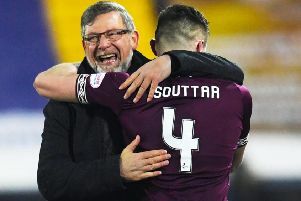 The eight-point difference will be useful as manager Craig Levein tries to navigate his squad through a tricky end to the campaign. Losing at Hamilton prior to international fortnight was unexpected and that is something both coaches and players will be desperate to atone for. Beating Aberdeen would propel Hearts to within two points of Derek McInnes’ side, who are currently sitting third and still retain hope of overhauling Rangers in second. Both games between the clubs this season have gone in favour of the home team. Arnaud Djoum and Steven Naismith scored at Tynecastle last October as Levein’s team won 2-1, but three days before Christmas Sam Cosgrove’s double consigned the visitors to a 2-0 loss at Pittodrie. Hearts must also contend with the fact that Hibs can move above them in the league table by taking three points at Livingston on Friday night. They sit sixth, two points behind, and are first to resume domestic duties when they travel to West Lothian for a match which will be broadcast live on BT Sport. Victory for Hibs would leave Hearts chasing their neighbours for the first time this season. That would then create the unwanted scenario of extra pressure surrounding the Aberdeen game the following day, although those at Tynecastle will aim to focus solely on themselves. They know their destiny is in their own hands between now and May. Their cause would be enormously enhanced by the return of a couple of key players from injury over the coming weeks. Full-back Michael Smith tore a thigh muscle against Auchinleck Talbot in the Scottish Cup last month but has started light running at Riccarton as he steps up his rehabilitation. It will be next month before he is ready to play and Hearts are keen to welcome one of their most consistent and reliable players back into the fold. Demetri Mitchell’s time in Scotland is over due to a lateral meniscus problem also sustained in that Auchinleck tie. He has returned to parent club Manchester United and won’t be fit again until pre-season. It remains to be seen if Hearts make any attempt to lure him back to Edinburgh for a third loan spell next season. Steven Naismith is another on the injured list, although he might yet be back before the curtain closes on the 2018/19 campaign. He is the club’s top goalscorer and has been badly missed when absent this term. He recently underwent knee surgery for the second time in six months but Levein has said he is “fairly certain” that the Scotland forward will play again for Hearts before the season is finished. Naismith, 32, is on loan from Norwich City and has scored 16 goals in 31 appearances for club and country this season. Injuries have been a recurring problem for Hearts and they will be eager to see two established faces return to training. Given how the fixture list looks like shaping up, they will need every ounce of ability, experience and nous available over the coming weeks.